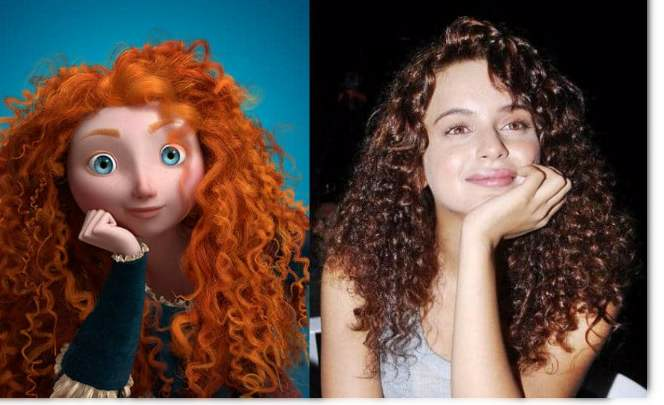 The controversial queen of Bollywood, Kangana and the Disney princess Merida are alike. They don’t just look similar but also have similar personalities. While Merida is an expert in sword fighting, horse riding, Kangana, on the other hand, is an expert in taking bold steps and knows how to fight for herself. There’s probably no one who doesn’t know who Cinderella is. She’s been a major part of every 90s kids’ life. Cinderella is best known for her simple and magnetic personality. And there’s no one who can match her personality better than Aishwarya Rai Bachchan. She is just as beautiful as her. 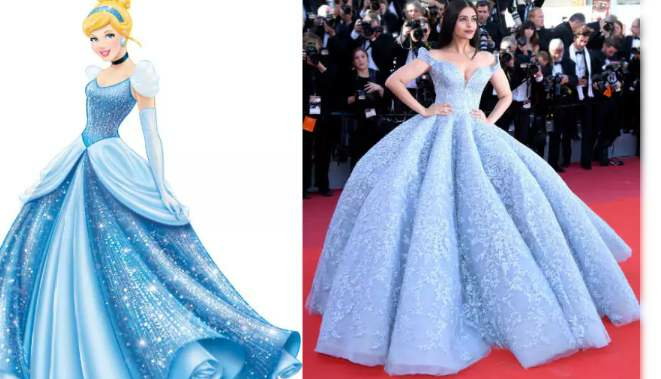 In fact, she even looked like a real Cinderella last year in Cannes when she wore that powdered blue voluminous gown. 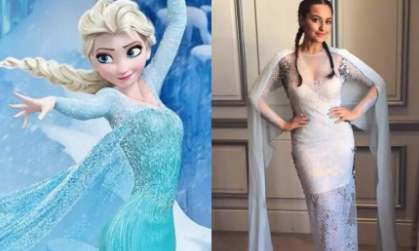 Just like Elsa, Sonakshi is also bold and independent. 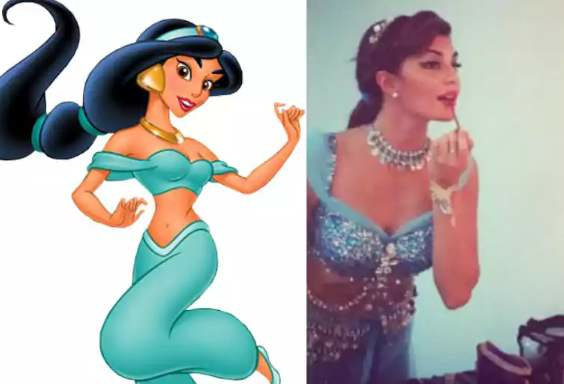 The Disney Princess Jasmine is known for her chirpy and friendly personality. 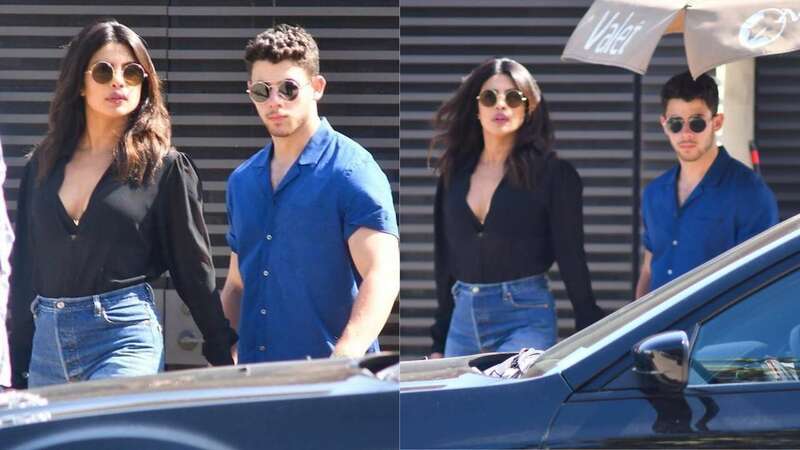 and the only actress who can best match her personality is Jacqueline Fernandez. 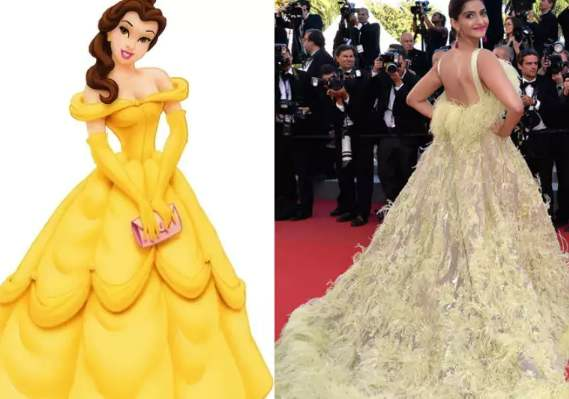 The Disney Princess Belle of the Beauty and the Beast is an open-minded and independent girl. And just like her, our Bollywood actress Sonam is also an independent lady who knows how to break free from all the stereotypes. 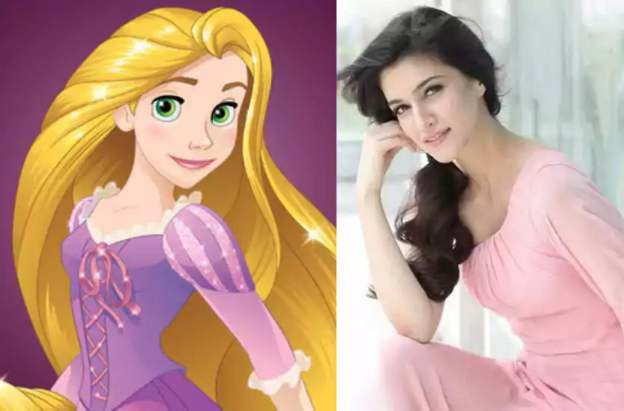 Just like Rapunzel left everyone stunned by her charming and loving personality, so did Kriti after making her debut in the film industry. 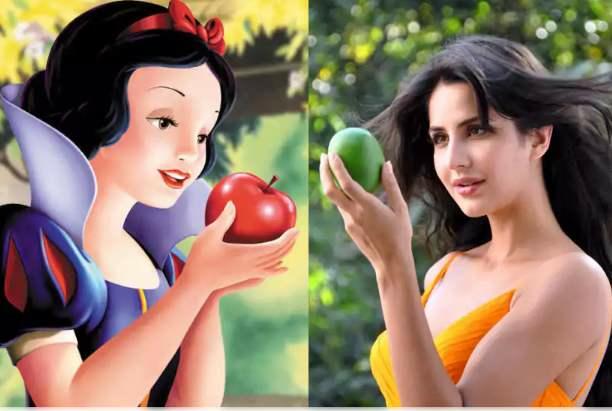 There is no one who can best match the personality traits of Disney princess, Snow White than our Bollywood Actress Katrina Kaif. Snow White played the role of an introvert girl and that’s exactly what Katrina is in real life. 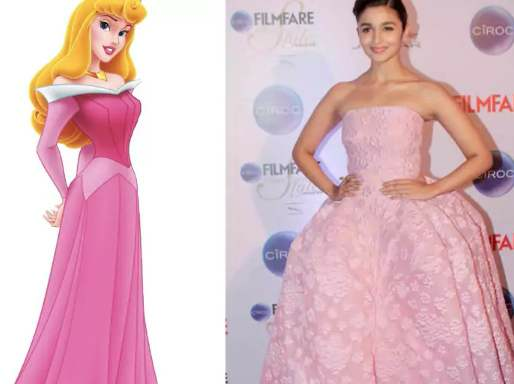 Alia Bhatt is just as cute as the Disney Princess Aurora. 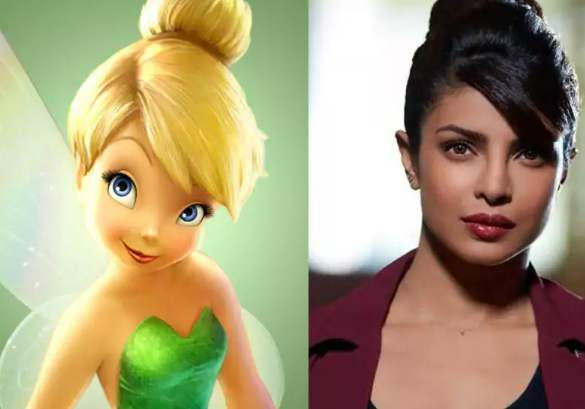 Like Tinkerbell, our Bollywood diva Priyanka Chopra is also a little short-tempered. Also, the two have always stood up for themselves, put in extra efforts to achieve their goals and finally made it to the top.